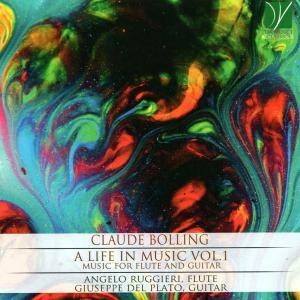 To understand Bolling’s film music one must know his vast and multifaceted musical production. It ranges from purely jazz music to crossover music, with marvelous suites for various instruments and jazz piano trio, performed and recorded with some of the most famous performers (J.P. Rampal, A. Lagoyá, M. André, Yo Yo Ma, London Symphony Orchestra, etc. ); from the 60s pop songs written for Brigitte Bardot and “Les Parisiennes” to over 100 soundtracks for movies, cartoons, documentaries. We first met at his studio, on the music stand of his piano, the “Inventions for 2 voices” by J.S. Bach, which made us immediately understand what a marvelous meeting between of two awesome personalities, Bach and Bolling. With the latter who humbly and assiduously merged the art of counterpoint with jazz, passing through the musical language of the first fifty years of the twentieth century.